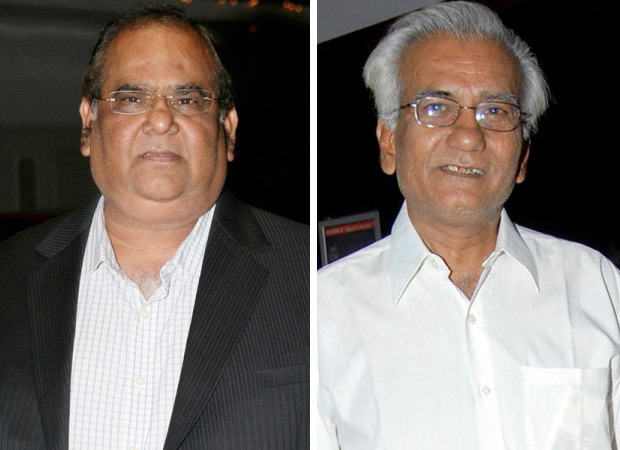 Satish Kaushik remembers working with director Kundan Shah and reveals some fun unknown facts about Jaane Bhi Do Yaaron. “Jaane Bhi Do Yaaron (JBDY) was released in 1983. None of us thought it would become such a cult classic with time. Apart from acting in the film, I wrote the dialogues for the film along with Ranjit Kapoor. It was made on a budget of Rs. 7.5 lakhs. It was supposed to be Anupam Kher’s first film but his role got chopped off in the editing. For the first time an NFDC film was bought by a regular distributor, Romu Sippy. I was not part of actors’ repertoire of JBDY but while writing the dialogues every day I used to wonder for which role I should forward my name to Kundan through Ranjit. Naseeruddin Shah, Ravi Baswani were already finalised. But to my luck when we were improvising the mad telephone-receiver exchanging scene I performed the role of Tarneja’s assistant Ashok. That turned out to be a very funny scene while performing and actor for Ashok’s role was not finalised. To my luck Kundan said, “Yaar, teri kya timing thi iss scene mein. Par aise timing kaun actor kar sakta hai?”, Ranjeet immediately jumped in to help me and said let Kaushik do it. After some reluctance Kundan agreed. And that is how I got a role in the film. So from Rs 3000 for dialogues my total remuneration went up to 5,000 and I got 2000 for acting. We used to get Rs 10 per day for conveyance. But the kind of fun we had while making the film could not be judged in terms of remuneration. Jaane Bhi Do Yaaron played a major role in steering my career in films and I feel very proud to be associated with this cult classic of Hindi cinema. I remember I came back to Delhi after finishing Shekhar Kapur’s debut film Masoom from Nainital and before coming to Bombay I went to visit Ranjeet Kapoor who was a top notch theatre director. I met Kundan Shah at his house who had come to sign Ranjeet as a Dialogue writer of JBDY.I had known Kundan because I had done my first film Chakra in which he was chief AD also. All three of us were chatting and suddenly out of nowhere Ranjeet told Kundan, ‘Since you’re making a mad comedy I will like to have Satish as my co-writer.’ I was shocked. Ranjeet convinced Kundan that I have a great comic sense and timing and will be a great help in writing a film. And thats how my career as a writer started though I had never written before. We wrote the entire film in Kundan’s house in Sion and nearly slept there to be woken up sometimes by his little cute daughter, ‘Uncle Utho…Likho’. Every day we would take up a scene from the screenplay and start performing and improvising it in the room and record everything and bring it to paper as per Kundan’s liking. Ranjeet and I used our theatre experience in moulding the dialogue script of Jaane Bhi Do Yaaron. It took us ten days to write the Mahabaharat scene because in the screenplay it was just mentioned that they all get into a theatre in which some drama is being performed and chaos happens. But which drama? We all got stuck because whatever play we thought of was not bringing humour into the situation. We took a break and for ten days as we could not construct the scene. But one day while I was walking in the market in Santa Cruz I saw cheap colourful comics of Laila Majnu, Shirin-Farhad, Mughal-e-Azam etc. and from there the idea struck us that in in the climax of Jaane Bhi Do Yaaro there should be a mix up of characters and that is how the extraordinary and hilarious climax came on paper….JBDY had a romantic track among me, Ravi and Neena Gupta but it got chopped off because of length problems.